Super Handyman Service 5 Stars! As a seller, sometimes you need to get a Punch List done ASAP in order to get a deal closed on time. As a Realtor, I need to find a Licensed, Bonded and Insured Handyman to get the job done right and done quickly. This scenario recently came up and I was lucky to find Jeremy Amendt of Super Handyman Az! If you are looking for a Neat, Clean and Very Professional Handy Man who can do it ALL, look no further! I was totally impressed with every aspect of his service. I would recommend Jeremy for all of your Handyman Needs without hesitation. Thank You Jeremy!! I highly recommend Super Handyman Service. Jeremy was very quick to respond to my needs and did an Excellent professional job. Extremely happy. I tried the rest and found the BEST. Jeremy did a great job getting our house ready for sale. He took the list we had compiled and gave us reasonable prices to complete everything on it. He is really a fairly priced "one stop shop" for every task imaginable. The quality of his work was exceptional and he finished in record time. Our house sold in 3 days and we believe his assistance made all the difference. Jeremy has completed multiple jobs on my rentals from construction, repairs and miscellaneous jobs. He has completed the jobs on time and at a fair price, I would recommend him highly. This guy is absolutely fantastic. He dose the job right every time. I've used him 5+ years now and when I need a handyman or contractor I call Jeremy.You can't loose with him like i said he is great. i would definitely recommend Super handyman Service. Jeremy and his team were very professional, did a super job, and obviously take pride in the work they do. I was out-of-town when they were working on the house but they kept me updated daily on their progress. If they had any questions, they called and the job was completed as promised. None of this "I'll be back in a day or two". Look forward to working with Super Handyman Service in the future. Jeremy and his team were very professional and obviously take pride in their work. This was my first experience with Super Handyman Service and I would highly recommend them to family and friends. Since I was out-of-town when the work was being done, they kept me updated daily and called when they had questions. Job was completed as planned. Great job and I look forward to working with you again. Jeremy has done jobs for me multiple times. His work has always been more than satisfactory. His last job for me was excellent. He and Jonathan make an outstanding team. Thanks, Guys, for all the extra help you gave me. I will always use Super Handyman Services. Jeremy and his crew do nothing but excellent work. I give them a five star rating. This is the handyman service I will always use. Thanks, Guys, for all your help and the wonderful jobs you have done for me. I'm a principal of a school, and a native Arizonan. I've had many companies do various job around my house, but none better than what Jeremy and John did on my home. I would highly recommend this company for any project you want done on your home. We had a very difficult staircase that needed painting. Jeremy and his crew handled the job like a boss. They were on time & completed the job in a professional manner. Jeremy would not leave until the job was done correctly. We are very satisfied with his work and his attitude. We would definitely recommend him and his crew. Thanks for all of your hard work. After a month hassling with the Insurance Company, I called Super Handyman Service. Within a week I had a quote and the repairs done. Great price and great work. What's left to say. Jeremy replaced 2 halter doors, replaced all window trim and sealed windows. He also did a complete exterior paint job with trim. My wife and I are very happy with results and would recommend Super Handyman, as a matter of fact, we are budgeting for future work and will be using Jeremy and his crew. Jeremy recently created an entire set of new solar screens for my home and replaced the screening in my aging bug screens. He was competitively priced, quick , professional. He and his team will be my first call for any other home repairs I want a professional involved with from now on. Jeremy and his team did a lot of different things at my house last week to make the place more habitable. They are honest, hard-working people who got the job done quickly. I would recommend them to anyone , and I will. Thanks guys. I appreciate you very much. Jeremy and his team came on time, and stayed late until the job completed. They were kind, courteous, and professional. I would totally recommend him and use him for any additional jobs. These guys are awesome. Jeremy put up crown molding throughout my entire house and did a backsplash in my kitchen all in a day and a half. I couldn't believe how fast he got it done. I would recommend these guys to everyone. They are honest and trustworthy, plus they are priced better than anyone! On a 40-year old home Jeremy and Miguel replaced 2 entry doors, bedroom closet doors, washing machine water faucets, a water heater, painted a bedroom, and re-drilled holes on an existing entry door for a new lockset. All work was done completely, professionally, and in a timely manner. Installing new items on a 40-year old home is challenging and they always met the challenge, took time to answer questions, and offered suggestions for other projects I was completing. I do not hesitate to recommend their services and would not hesitate to use their services again. On a 40-year old home Super Handyman and his crew replaced 2 entry doors, bedroom closet doors, washing machine water faucets, a water heater, painted a bedroom, and re-drilled holes on an existing entry door for a new lockset. All work was done completely, professionally, and in a timely manner. Installing new items on a 40-year old home is challenging and they always met the challenge, took time to answer questions, and offered suggestions for other projects I was completing. I do not hesitate to recommend their services and would not hesitate to use their services again. I'm an out-of-state landlord and trust Jeremy and his company to do all types of repairs, etc. on my property. They do wonderful work and are timely. I would highly recommend Super Handyman if you are in need of this type of service. I just Want to say thanks to jeremy for the superior work that you did on our home from the painting inside to the painting outside. Also the shade screens were made to order and look perfect.Very respectful,on time and cleaned up everything after job was completed.Went out of his way to make everything prefect. High quality of workmanship performed.Will defiantly call when work to be done on our home. Highly recommend "SUPER HANDYMAN"!!!!!!!!!!!!!!! Plus he stands behind his word!! Thanks for making our home look "GREAT"!!!!!!!!!!!!! Super Handyman responded within hours to make necessary repairs for an elderly woman confined to her home. Thank you, Super Handyman! Jeffrey and Thomas did a great job fixing and repairing some damage to my house at a reasonable price for the amount of time he worked. They were friendly and efficient while working. I hope to use this service again for other repairs and home improvement projects. Thank you! You can tell when people love what they do.... because it shows in the attitude, quality and overall job. 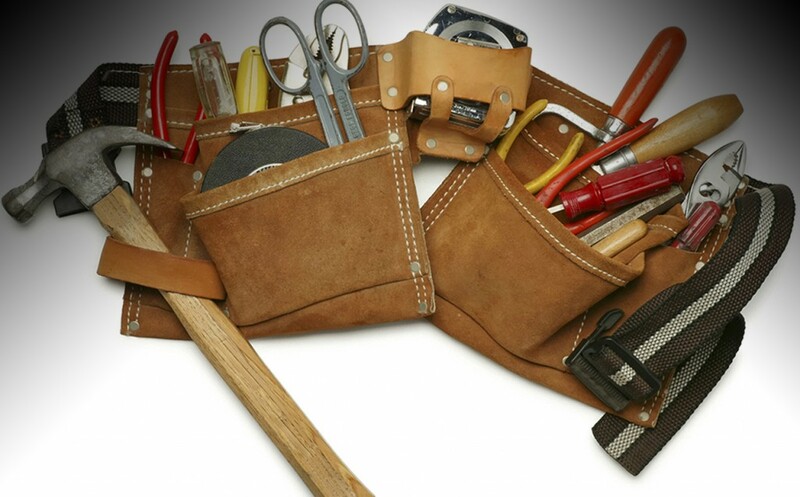 It makes it a pleasure to call upon them and that's my experience with Super Handyman services. There really is no job too big or too small...they handle them all. You just have to ask. Jeremy makes people feel confident in his work abilities and you can rest assured in the job he is doing whatever it may be...and the finished product speaks for itself. Professional quality service delivered to your door. Jeremy & his team was a big help to me making decisions & offering samples & ideas to get my house painted from the Hail storm of 2010! Luckily I waited & was referred by a co-worker to his company. He was within my price range & his company went beyond my expectations. They were trustworthy & friendly with no pressure sales. He will continue to work on my list of "things to do" now that I know it will get done the way it should! July 20th 2012. jeremy came to my house to do some drywall, trim carpentry and hang a security door. Jeremy was on time and complete all work Above my expectations. i would recomend him for any job. We recently purchased a home in Surprise, AZ. It's a 2700 square foot home with a dark interior color. We wanted a much brighter color throughout. We feel like Jeremy was a Godsend to us. We contacted him, he did an outstanding job, he painted the whole interior. He is very multi-talented. He can do anything from washing windows, making screens look brand new, electrical work, he can do it all! In addition to that he was very punctual, did everything we asked him to do. I would rate him a 10 and I would not hesitate to recommend Jeremy to anyone. In addition to that he has a very charming personality. The hard water here in Arizona just seems to really eat up my rubber and plastic toilet tank parts. I called Super Handyman Service and they showed up with the correct parts and then we decided to go ahead and replace the parts in the other tanks while they were here. They did more than they had to, they did it right, and it was a fair price. SUPER HANDYMAN SERVICES Jeremy performed two different services for me. After the first service, I had him come back and do another. Each time he was knowlegeable about what he was doing, thorough, neat and clean. I recommend him highy for anything you need regarding handyman services. Next time I need something I will call him again. Also he was very fair and reasonable on his prices. He really did a SUPER job.